The above post on Flicker brutally sums up the conflict over contemporary works of art that are placed in public places by local authorities and other agencies. In this case the sculpture, by the respected Irish artist Michael Warren, was commissioned by “developer Eddie Sweeny under the Per Cent for Art Scheme, and erected in 2002 close to the Pavilion retail and theatre complex and Dún Laoghaire’s 19th-century county hall” ( Irish Times). The Per Cent For Art Scheme allows for a percentage of the cost of public capital works to be spent on an artistic feature. The sculpture was removed in 2009 during work on the new library in Dún Laoghaire but it was not replaced when this work was completed. 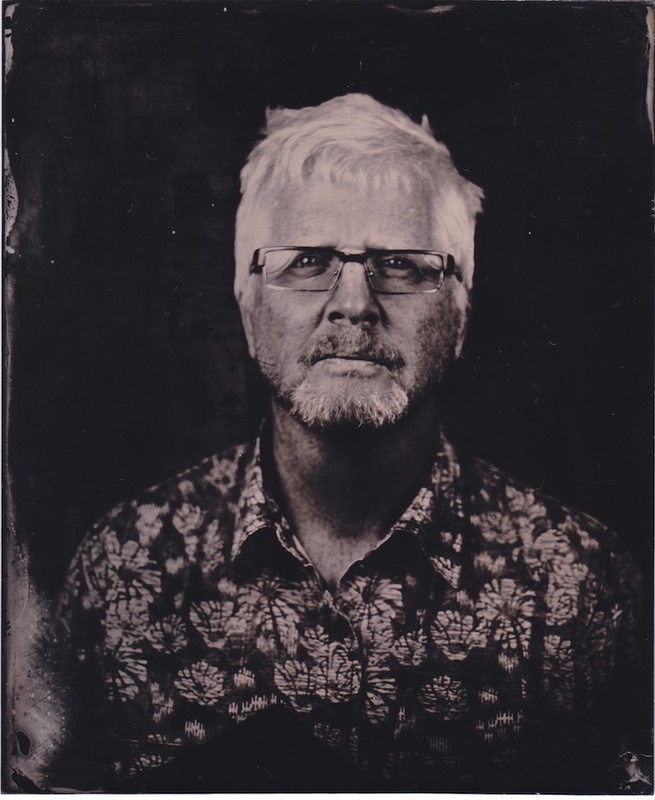 It appears that it is being ‘returned’ to the artist in exchange for another work in a deal brokered by Dun Laoghaire Rathdown County Council (DLRCC), although the Council declined to comment on the exchange” according to the report by Fiona Gartland. Controversy was inevitable. 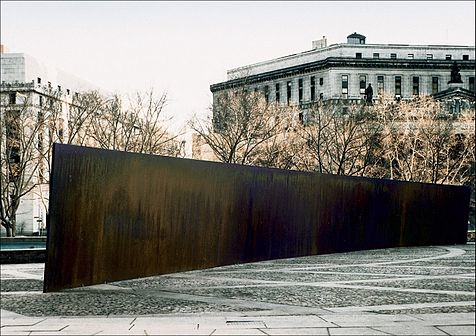 Richard Serra’s Tilted Arc was erected in the Federal Plaza in New York City in 1981 but, following a public vote, the sculpture was dismantled and the material used for scrap. Serra wasn’t happy: “To remove the work is to destroy it” he said. Warren’s scuplture won’t be scrapped, it’s on its way to an alternative site in the UK and the site specific references implied by the title will be lost. Eilís O’Connell, Great Wall of Kinsale, 1988 (Photo: Southern Star). Warren isn’t the first artist to run up against local authorities and their idea of “public” art. In 1989 the Arts Council wanted to promote public art as a showcase for contemporary sculpture. It commissioned The Great Wall of Kinsale from Eilís O’Connell at a cost of £22,000, making it the biggest public art commission to date. The Arts Council had “awarded” the sculpture to the town in recognition of its recent success in the Tidy Towns Composition. It was an ambitious project and the influence of Serra was obvious, both in the use of Corten steel and the imposing scale of the piece. This was a bold statement, a statement that was meant to define “public” art in terms of contemporary, professional arts practice.It was lost on the members of Kinsale Urban District Council (KUDC). A campaign was begun to remove the sculpture. It was a nasty, divisive campaign. I was covering it for CIRCA Art Magazine (Issue 46) and witnessed at first hand the bullying tactics of people campaigning against the perceived elitism of the professional art community and its attempts to impose its values on the plain people of Ireland. I was also involved in a public art “education” campaign funded by the Arts Council. It was a close fought campaign and a decision by UDC to remove the sculpture was narrowly deferred after a Kathleen Watkins, a member of the Arts Council, personally addressed the UDC on the evening that it was expected to vote to “destroy” the sculpture. 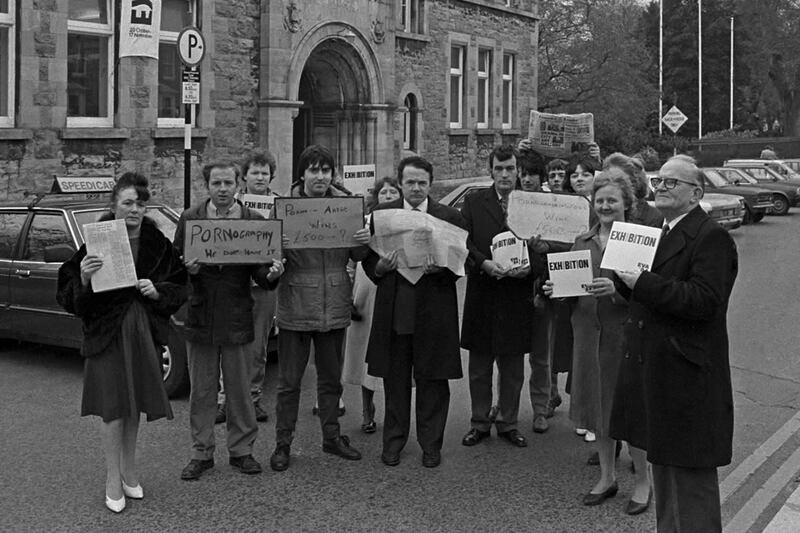 Protesting Art: protesters outside Limerick City Gallery of Art, from Sean Lynch’s ‘Rocky Road To Dublin’ archival project and exhibition 2011/12 (Sean Lynch). That’s the good news. The UDC began to treat the sculpture as a public hazard, tampering with the sculpture to prevent people interacting with it (climbing on it) and carried out changes to make it more acceptable – painting over the Corten steel. O’Connell has produced The Contemporary Condition of The Great Wall of Kinsale for Seán Lynch’s Rocky Road To Dublin project in 2011, an exhibition that documents controversies that rocked the Irish art world in the 1970s and 1980s mostly ( an exhibition guide is available here). O’Connell also told the Irish Times that the sculpture was destroyed by Kinsale UDC in contravention of the Berne Convention for the protection of Literary and Artistic Works when it painted the surface and added water features, railings, flower pots and barriers against the artist’s wishes. 30 years on, little has changed, except for the level of opposition to the destruction of public artworks by leading Irish artists. The campaign to remove what is left of O’Connell’s sculpture continues intermittently and Michael Warren’s “Gateway” has been removed with little or no controversy. Significantly, Dun Laoghaire Rathdown County Council (DLRCC) has refused to comment, despite the fact that it has an arts office thats administers a public art scheme and is responsible for promoting contemporary arts in Dun Laoghaire Rathdown. 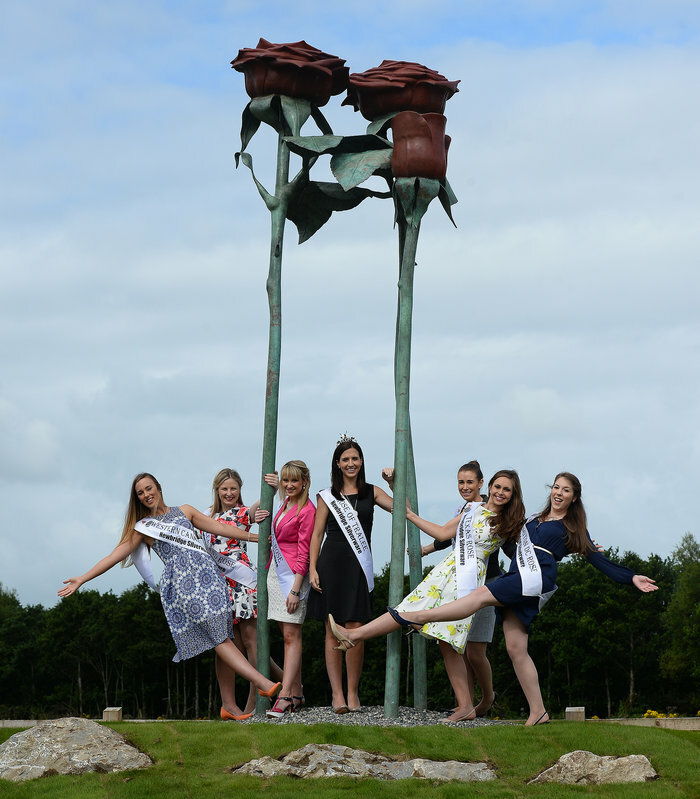 Unveiling the “Roses” sculpture located on the newly opened Tralee bypass . 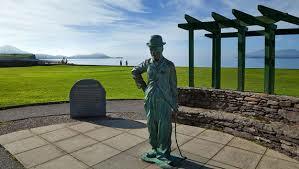 Has Dun Laoghaire Rathdown County Council turned its back on ambitious public art works like “Gateway”? Or is it staying quite in the face of opposition from elected representatives? It’s hard to say but the destruction of Michael Warren’s sculpture raises – again – the issue of what constitutes “public” art. The experience around the country is that local authorities and their arts offices – effectively operating as subsidiaries of the Arts Council – are promoting a particular type of public art, a populist strategy that has seen the proliferation of monumental works or “statues” that have little to do with contemporary Irish art. You could call it the ‘Molly Malone’ effect, public art that has more to do with tourism than art. 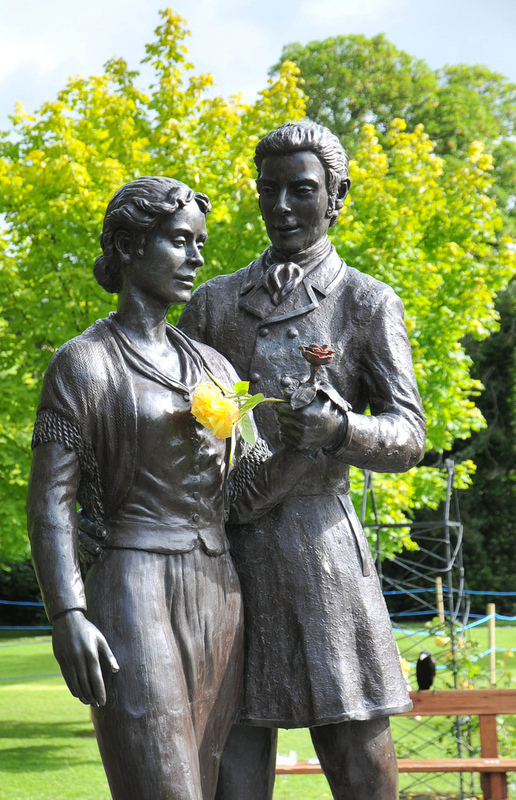 The recently unveiled “Roses” sculpture (a €70,000 commission) is typical of this trend, a trend that goes against the original objectives of the Per Cent for Art Scheme and represents a monumental failure of local authorities in respect of their remit to promote the arts a county level. This entry was posted in Comment, Current Affairs and tagged Dun Laoghaire Rathdown County Council (DLRCC), Eddie Sweeny, Eilís O'Connell, Kinsale Urban District Council, Michael Warren, Per Cent for Art Scheme, public art, Rocky Road To Dublin, Seán Lynch, The Great Wall of Kinsale on August 31, 2015 by ciaranwalshnoe.